Vito Barbers provide quality men's hair cutting and grooming services at affordable price. Our barbershop in Putney opened its doors in 1977 and is open 7 days a week. always been a great haircuts from our 3 generation. all the barber at vito are very high qualified on all sort of haircuts! Vitobarbers is the best Barber in Putney, I've been going there since I moved to Putney 7 years ago... Friendly staff and very relaxed atmosphere. The owner Marcos is a very experienced Barber and is always helpful... I definitely recommend this shop for anyone's age. the best barber in sw15 , been going there for over 30 years and always been very profesional. great prices . new management is fantastic. vito him self still works 2 days a week. Been using this barbers since moving to the area 24 years ago, and never been anywhere else. Service is excellent, hours very obliging and hair cutting to a very high standard. Very welcoming, very affordable hairdressers. I have been going for a few years now and will carry on for many more!! They have recently renovated the barbers and it is a very nice place to go. Vito and his staff are very kind, fun and most of all good hairdressers!! Excellent local barber,hairdresser, beard trims and shaves. Opens early , comfortable surroundings, good for all ages and reasonable prices. great barber shop in london! always a great haircut from the barbers. Great shop and great staff, I have been using vito's ever since I moved to Putney and never once have I had a bad experience. 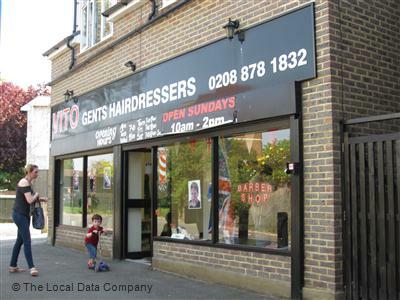 Do you want to write a review of Vito Barbers in London? Your Vito Barbers London review will help build a list of the best Barbers in London. Is Vito Barbers London your business? Claim it now. This will allow you to amend your details and improve your listing.